It is only every so often that someone walks in to the workshop who has a truly strong sense of the visual – what they know and what they like. 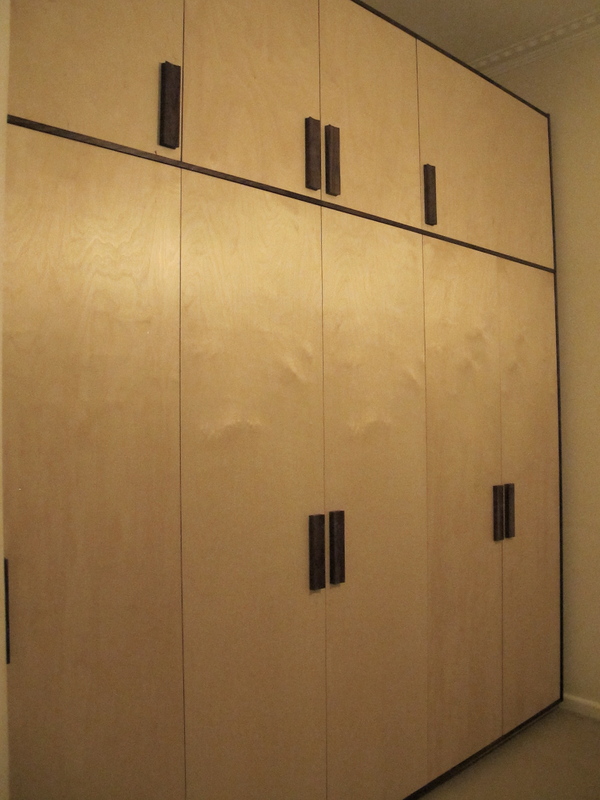 Some time back, just such a client walked through the door, and commissioned a wardrobe. She had a beautifully well laid out diagram in that stylish hand that set designers tend to have. Kindly, when it came to the handle detail, she left it to me to come up a design. 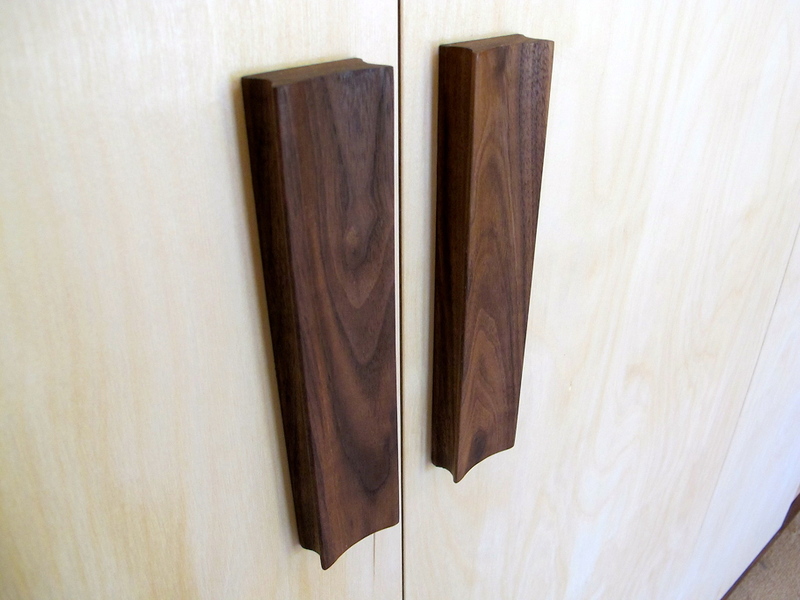 I have been looking at these walnut handles for a while now, and I still can’t decide if there’s a streak of Deco in there. This entry was posted in Cabinetry, Good people. Bookmark the permalink.